Yes yes yes. 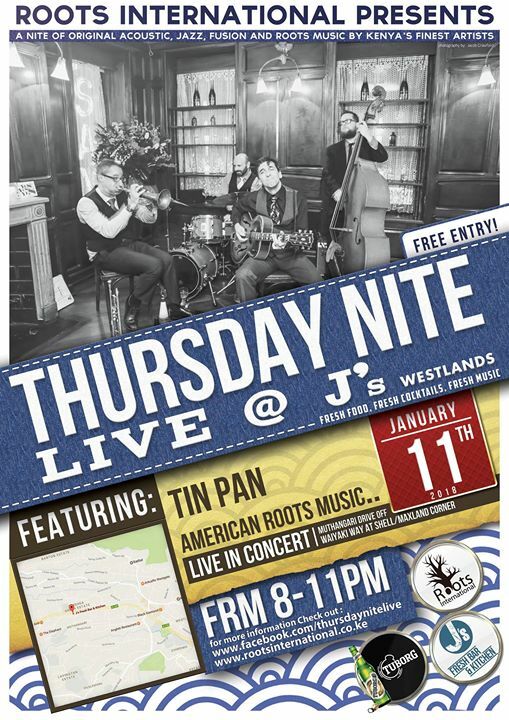 Tin Pan band will be bringing their captivating sound to Nairobi. The band which comprises of energetic New Yorkers who perform with such enthusiasm and musicality, will be in the capital from the 12th to the 16th of January 2018. Tin Pan Trio with Jesse Selengut, Pete Smith and Steve Wood. 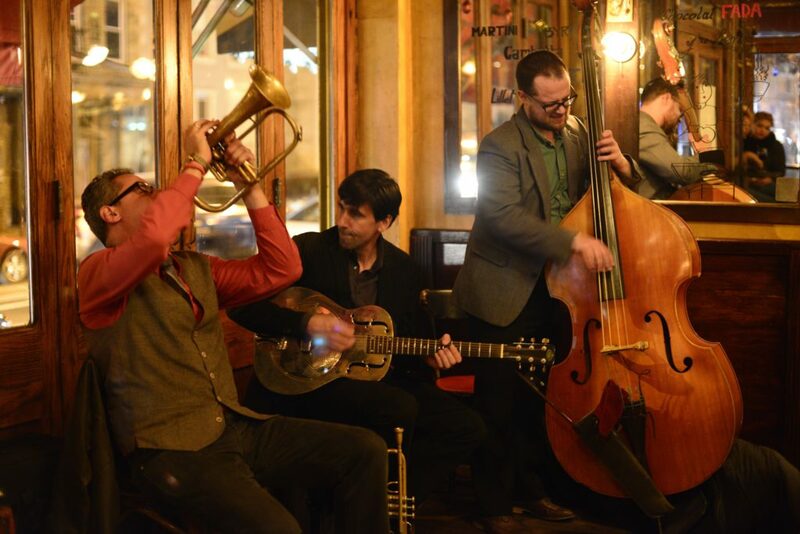 Originally based out of New York City, this group of talented musicians led by the creative genius, Jesse Selengut (Trumpet, Vocals) is renowned for their boisterous and booming acoustic performance that easily mesmerized even the most skeptical of pedestrians along the New York’s, Central Park which the band primarily plays at. Tin Pan Band which originated out of an innate need for music has curated a sound that is a fresh mesh of what can only described as gritty jazz blues, which takes on traditional American music with roots of the jazz tradition and reinvigorates it by making it their own sound of American Roots Music. Tin Pan boasts of seven albums to their name and over 150 performances a year! Notable performances include TV appearances on The Today Show, NY1, Fox News, ABC News, ESPN as well as festival performances at the HOWL festival, the Williamsburg Jazz Festival, the MUNY Jazz Festival and The Cape Cod Jazz Festival. Tin Pan Trio Live Album Recording at Ankole Grill. Jesse is no stranger to the Kenyan’s scene and has created an indelible mark from his previous visit in 2008 at Mercury as “Jesse Selengut and NOIR” as a fundraising effort for the Shangilia Orphanage. He is also a part-owner of Ankole Grill, which offers one of Nairobi’s suavest dining experiences; and every night will feature a fresh serving of fantastic music and Ankole’s signature cuisine of Texas barbecue meats and Sub Saharan African classic dishes. 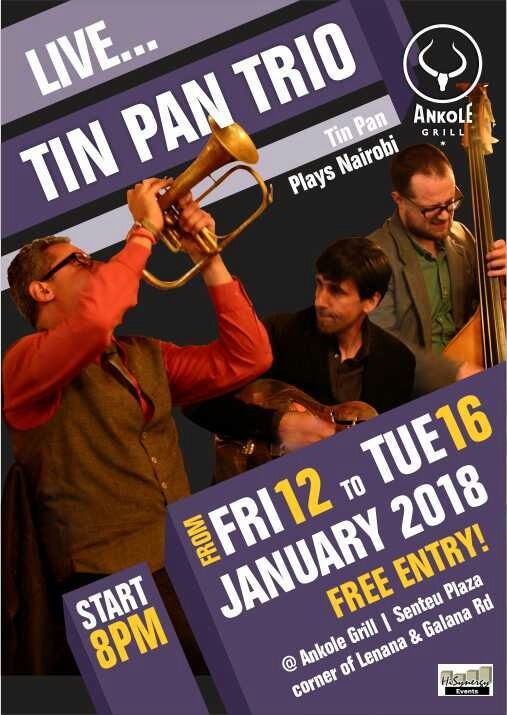 During their week-long residency at the Ankole grill, Tin Pan will be recording a live album of their performances. Jesse will be accompanied by Steve Wood on the upright bass and Pete Smith on the metal resonator guitar. 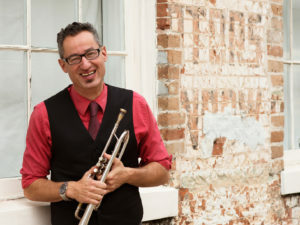 On select nights, special guests performing alongside Tin Pan will include renowned Kenyan Jazz cats; pianist Jacob Asiyo, percussionist Kasiva Mutua, and the Nairobi Horns Project (NHP). There will be an all-out open-house Monday Jam Session on Jan 15th. The Wall Street Journal describes Tin Pan as “Really worth checking”; when Rupert Murdoch heard them play in Central Park in New York, his comment to them was “You guys are terrific!”. Tin pan band music is light and fun. It makes people dance and smile. Attending The Tin Pan events will be a musical experience full of dance, joyous head nodding and most of all honest live music at its best. Do yourself a favor, come through at the Ankole Grill or J’s Fresh Kitchen, sit down, and enjoy the spirit of American Roots Music. If you can buy an album or two, bring home the tunes. It’s an absolute delight watching them and listening to their performances. They have an ability to toss away your Njaanuary inhibitions to the wind and offer a euphoric escape.